Most recently nominated for two Muddy Awards: Best Female Artist and Best Northwest Recording for her Prohibition CD. Known for her passionate, driven performances and always backed by stellar musicians, this powerhouse vocalist delivers a blistering mix of contemporary & old school blues. 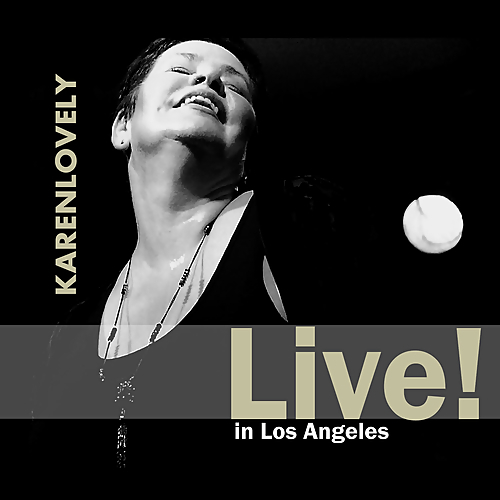 Lovely's standout performances have garnered awards, critical acclaim and standing ovations at festivals and venues throughout the US, Canada and Europe. Karen Lovely shot onto the blues scene out of the Pacific Northwest like Stack O' Lee's .44 placing 2nd at the 2010 International Blues Challenge followed by three2011 Blues Music Award Nominations for BEST CONTEMPORARY BLUES FEMALE ARTIST, BEST CONTEMPORARY BLUES ALBUM and BEST SONG for her sophomore release STILL THE RAIN. She is a two time “#1 Pick to Click” artist on XM Radio Bluesville and has just been selected to be the 2014 Featured Blues artist by KJZZ FM in Los Angeles. Lovely’s records have topped the national blues and roots charts and made the Top 10 favorite artist list for dozens of nationally syndicated radio stations. This past year, Karen completed 4 successful European tours, playing to packed houses and sold out shows in France, Germany, Switzerland and the Netherlands. Her performance at the 44th Internationale Jazzwache in Burghausen, Germany was taped for broadcast and began airing on German TV in December 2013. A crowd favorite at the 2103 Safeway Waterfront Blues Festival - the 2nd largest blues festival in North America – Karen played on 4 different stages, wowing the main stage audience with contemporary blues, followed by classic 1920s blues with her Prohibition Orchestra on the dance stage and a special late night show with Grammy Winner Patrick Lamb, and renowned Michael Jackson guitarist Jennifer Batten.